If you have been poking around Youtube lately seeking information on cryptocurrencies, you have undoubtedly been smacked with Ty’s Bitcoin pizza commercial. For all of us long time Cryptonians, the Bitcoin Pizza story is an epic tale that we have heard hundreds of times over; especially as BTC was edging towards the $20,000 mark in December of last year. For anyone unfamiliar with the story, here is a brief recap. Bitcoin’s first major purchase occurred on May 22, 2010, and no it wasn’t a Lamborghini as you would imagine, it was actually a couple of Pappa Johns pizzas. At the time, the BTC community was little more than a hodgepodge of crypto enthusiasts looking to further interests in this unique financial product. One of those crypto-entrepreneurs was the now famous star of this story – Laszlo Hanyecz. The story goes that Laszlo traded 10,000 BTC for two large Papa Johns pizzas (hopefully with garlic sauce). At the time of the transaction, the value of the BTC traded was only $41. Fast-forward to today’s prices and you are looking at $100 million in BTC. This also marked the first time BTC was used to make a purchase from a major retailer. Obviously, there was no way for Laszlo to know that BTC would one day reach its current market value and one can only hope that those were the best tasting pizzas of all time. While this story happened almost ten years ago, Laszlo has recently reemerged in the crypto spotlight thanks to the Lightning Network protocol. As with all true legends, Laszlo has reemerged to help save the very same network he helped expand so many years ago. Yesterday, Laszlo continued his quest to proliferate the decentralized economy by being the first person in the world to make a purchase with BTC using the Lightning Network. His purchase – two delicious pizzas. The latest purchase may prove to be equally as important as his original pizza buy. BTC has been plagued by rising transaction fees and increasing transaction times. This has opened the door for BTC hard forks such as Bitcoin Cash to step in and gobble up some of BTC’s market dominance. While still in the early testing stages, the Lightning Network could be the savior that BTC needs to ward off the flood of imitators currently saturating the market. The Lightning Network reduces transaction fees and costs by calculating much of the transaction off the blockchain network. This frees up the blockchain congestion; allowing for a smoother BTC experience. Lightning Network programmers are still working out some usability issues such as the need for a third-party to handle Laszlo’s transaction. This was necessary because the network utilizes a bi-directional payment channel protocol. This basically means all parties would need to have this protocol in place to conduct their transaction on the Lightning Network. 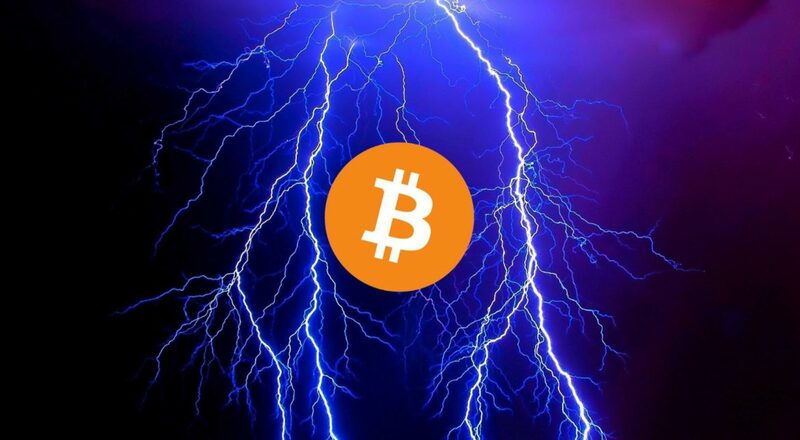 In the future, the Lightning Network should see widespread adoption and as BTC continues to see inflated transaction costs, there is a growing push to see this network in place as quickly as possible. Despite the desire of the cryptocommunity, Lightning Network developers are keeping their cool and working out all the kinks in their proposed protocol update prior to releasing the finished product.